Through The Culture Advantage, Liza Taylor helps Members’ realize an ideal workplace culture. Whether supporting an emerging professional brand in the design of a to-be realized dreamy workplace culture, or transforming a dysfunctional national enterprise from the inside-out, Liza understands – culture is not amorphous. Rather, an organization’s vision, mission, values, as well as ideal culture and employee engagement levels, can be realized and optimized through conscious planning, and by pulling precisely the right levers, at just the right time. TCA, a corporate culture trend-setter, is carving a new future for the entire HR practice. TCA has extensive cultural assessment and uses cutting-edge Organizational Design techniques. Liza becomes a trusted advisor to employees who seek her out to share observations with someone who is skilled at engaging and aligning leadership on both the current and desired future state.Through Stakeholder Interviews and the highly regarded Organization Culture Assessment Inventory (OCAI), Members hold a holistic, systemic and comprehensive view of their organization’s cultural strengths and opportunities, as well as a Strategic Culture RoadMap to support the achievement and or maintenance of an ideal culture, after working with Liza. The Culture Advantage utilizes the most cutting-edge approaches in Organization Development, and is skilled at knowing which levers to pull to shift a culture and tap the genius and insights of Members’ employees. 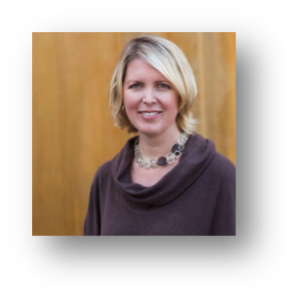 Liza has mastered her Organization Development craft for 15+ years and served in human resource and learning roles for Disney, Hulu, Omnicom Group, HealthNet and Deloitte. She has consulted for well-known entertainment brands, digital media, biotech, CPG, technology and advertising. She holds a Master’s of Science in Organization Development from Pepperdine University, a Professional Designation in Human Resources Management from UCLA, a Bachelor’s degree in Cultural Anthropology from UC Santa Barbara. Liza resides in LA and has worked globally, including in China and Mexico.